3.Pour in a greased baking tin. 4.Bake in a 200 degree preheated oven for 60 minutes or until a skewer inserted in the middle comes out clean. I got this recipe from google search and the toping of the cake has to be done but by the time cake cooled down my hubby and my kids had half of the cake. 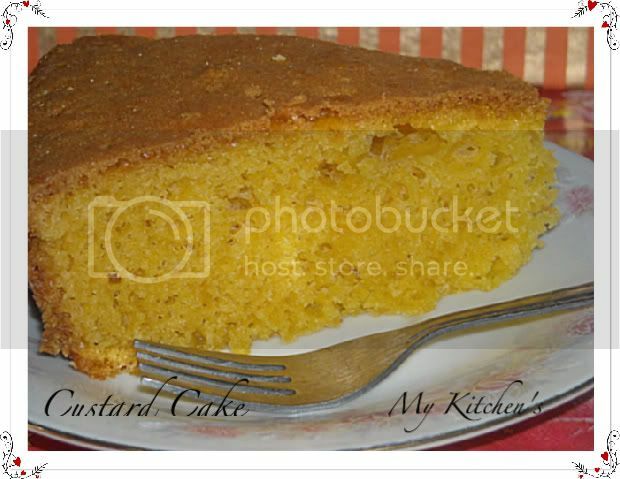 Never made cake with custard powder..looks yummy..
Thats a simple cake..lovely texture..easy to make..would love to chack this. 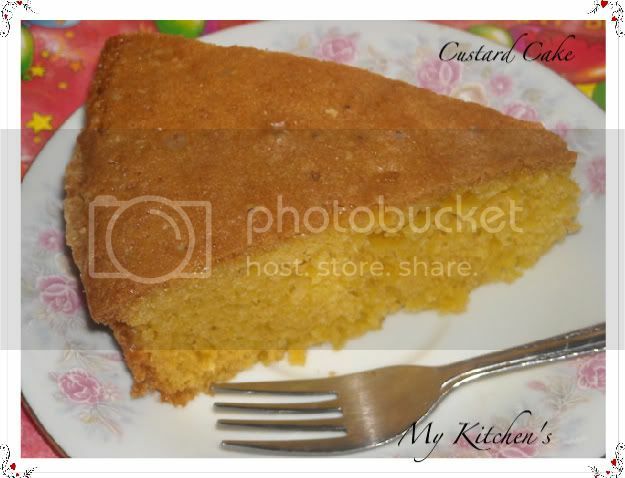 Looks delicious, should have tasted yummy with the nice aroma of custard powder in it. i have to make this ..so simple&delicious...! Yummmmy cake.. I'm extending my FIl event to 31st..! So rush in your entries..! wow! looks so spony n perfecto!!! i love this cake, even i make the same way! wow so soft and fluffy looking cake mouthwaterin saritha. First time here .. Looks very Soft.. Yummy .. Would try that..
ooh, soft and fluffy cake. looks tempting.